Reach the right audience, with the right message, at the right times, through the right channel. With the proliferation of brand communication channels, however, this process is easier to explain then execute. In a fast growing world of smartphones we now have access to many messaging opportunities. What used to be SMS only is now accompanied by the strong up rise of push messaging. The consumer already moved to channels like WhatsApp to communicate on a personal level. Hybrid Messaging, which frictionless combines push notifications and SMS text messaging, makes sure messages are delivered on every possible device. Whether the person owns the app, or not. The biggest challenge is that audiences use various devices and channels to stay connected. Focused on multiple communication channels through text message, email and social media, consumers are spread thin between platforms, use cases, constant streams of information. So which is the right one? And can they be combined? Brands have no choice but to adapt and to simplify communication with target audiences. That’s where hybrid messaging—the ability to combine channels like push notifications, voice and SMS—comes in. Hybrid messaging follows existing customer patterns. At the heart of a successful communication strategy are the conversations that consumers are already having. Consumers have already shifted from SMS to pushnotifications. In the corporate world however sending SMS text messages is more common that pushnotifications. Covering both channels offers businesses and organisations an advantage over their competitors who might be only using one of both channels. Financial intuitions for example send millions of temporary passcodes (one-time passwords, OTP's) to their users who use the codes to log in or transfer money. Without excluding users who do not own a smartphone financial organisations with Hybrid Messaging still reach their audiences, regardless the device. As push messaging is significantly cheaper than sms, as carriers bill aggregators to use their platform, this way of reaching out to customers and clients is cheaper below the line. Every message that is sent as a push notification saves on costs of an SMS text message. Over a period of time, companies sending out millions of text message monthly can save some great amounts on doing so. Hybrid Messaging processes the right message through the appropriate channel automatically. The platform recognises whether or not the end user has downloaded your app or not. In case the smartphone has the designated app, the platform delivers the message through a push notification. If the push notification fails or the platform sees the user has no app installed, the backup functionality sends an SMS message. Covering both push messaging and text messaging, Hybrid Messaging drastically improves delivery rates: a crucial functionality for banks, which rely on seamless communications (like sending OTP's) with their clients in order to transfer money and log in to their online beanking portal. Not only delivers Hybrid Messaging both push notifications as SMS text messages. 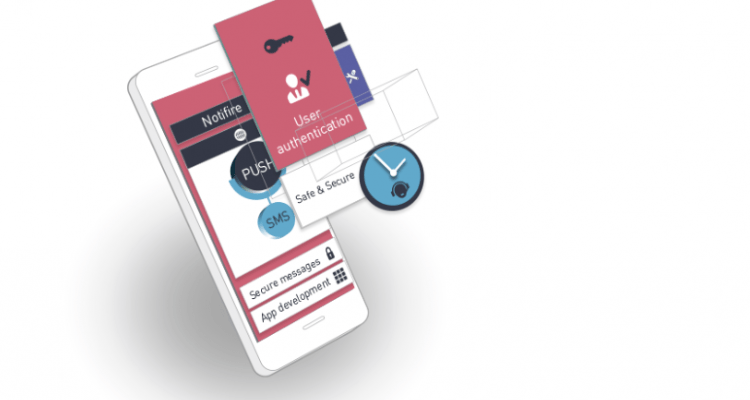 The Hybrid Messaging platform detects if a push message has failed to arrive. It than decides to still use the SMS functionality in order to deliver the One Time Passwords to devices. The future focus of messaging should be multichannel as newer channels provide more user-friendly functionalities and, above all, are cheaper than plain text messaging. Combining the good old text messaging service and the quit new communications push messaging offers, makes sure your audience receives your business critical messages and you save on costs in one go. Hybrid Messaging: The future of cross platform messaging | SMS, Voice & Push Combined from CM Telecom CM Telecom will be attending Apps World, 18 & 19 November in London. Would you like to know more on Hybrid and Mobile Messaging & Payments? Visit us at Stand 220.